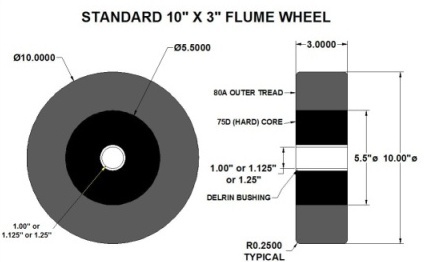 Sunray’s Flume Wheels are the perfect choice for your demanding water-ride. 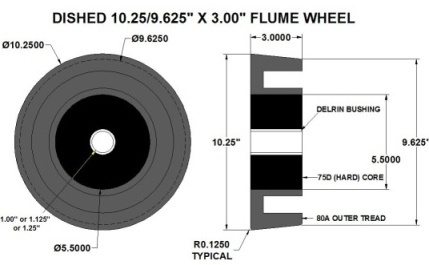 Designed to last, with it’s all-polyurethane construction and delrin bushing (other custom designs available), these Flume Wheels will be a rugged addition to your Flume Ride. 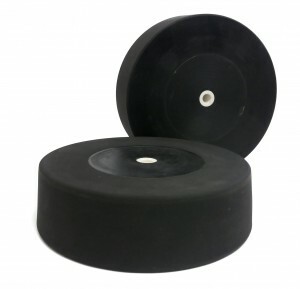 Please choose from a Solid Flume Wheel for dependable/durable performance or our Dished Flume Wheel for a bit more cushion and shock absorbtion. If you have questions about which one to choose, please contact our sales staff at 1-800-833-9960.